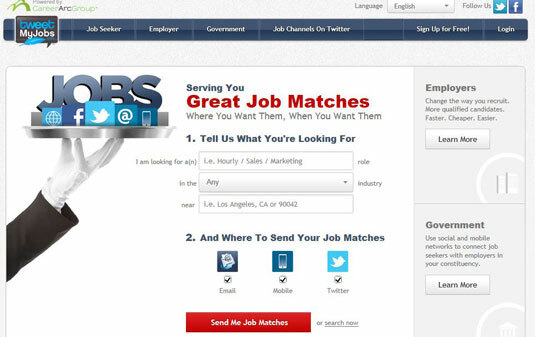 JobsMiner.com uses a data-analysis technology to extract job postings from social-media networks. By presenting only the most relevant information from social-networking sites, blog posts, and forums, it lets you focus on the human connection. After signing in with a Facebook account, you can see jobs from around the country that JobsMiner found from various social sources. Clicking on the job you find interesting will bring up the source. Comparing these results with those of a traditional job board, JobsMiner shows you some very hard-to-find opportunities that simply don’t appear on other boards. Rather than asking employers to pay to post their jobs on its network, LinkUp.com simply finds and indexes jobs from the employer’s own websites. Clicking on jobs you like on LinkUp takes you directly to the employer’s website. Because LinkUp isn’t paid for applications, it doesn’t need to be involved after you’ve found a job or company you like. No scams or weird third party websites are involved. On LinkUp, you’ll find jobs that simply never made it to other job boards. After all, most companies don’t bother posting their jobs to major job boards. Currently, the site indexes well over 35,000 company’s jobs sites. ApplyApp.ly is a job-matching service that looks at your past experiences, skills, and even personality traits to suggest better matching jobs. Each job you see on ApplyApp.ly lets you know how well your personality and experience would fit. As a measure of your personality, ApplyApp.ly relies on your Myers-Briggs personality type. If you don’t already know your Myers-Briggs type, you can buy the test for a discount through the site. The site also offers a service called Résunate, which shows you how to customize your resume based on the job you’re going for. Jojari.com uses your entire LinkedIn profile or resume to conduct a more thorough search than traditional job-board searches. This technology is also used by lawyers to find related cases. After linking your LinkedIn profile or resume, Jojari quickly provides you with a list of stack-ranked jobs. You make the search results smarter by telling it to give you More Like This or Less Like This. It’s amazing how accurate the personalized results can be. If you’ve applied for a job before, you know how frustrating it can be to wait and wait and wait to hear anything back. This experience is often called the black hole by frustrated job seekers. Startwire.com seeks to end the black hole by giving you status updates on the progress of your job application. Along with its job-matching service and one-click apply, you get alerted when a recruiter looks at your application, passes it on to someone else, categorizes you, or puts you in various buckets. Just knowing what’s going on with each of the jobs you’ve applied for can be a huge stress reducer. TweetMyJobs.com leads the way in bringing the job market to Twitter. The site has been reviewed in The Wall Street Journal, on CNN, and in BusinessWeek. Even if you don’t plan to be very active on Twitter, having a TweetMyJobs account to stay up-to-date is certainly worthwhile. Subscribe to a Twitter Job Channel. A Job Channel is simply a Twitter feed that’s specific to your location and industry. Upload your social resume and tweet it to TweetMyJobs’s @TweetMyResume account. @TweetMyResume has more than 16,000 followers who are instantly alerted every time a new resume is posted. Sign up for alerts. TweetMyJobs can notify you of new job postings that match your profile in many different ways. If you don’t want to receive tweets of job postings, TweetMyJobs can send you an SMS text message or an e-mail with relevant jobs. TweetMyJobs also helps you in finding referrals through your social graph, mobile apps for job searching using geolocation services, and augmented reality. After a study of over 2.3 million resumes, a team of data engineers and computer scientists from Bright.com found a way to grade your resume to predict if it’s going to help you get the job you are applying for. After you upload your resume to the site and do a searching for jobs, Bright tells you which jobs you’re more likely to stand out for based on your resume, which can help you decide which jobs to apply for. Jobfox.com sends you an e-mail every time a new job is posted with your location and title criteria. It’s that simple! Jackalopejobs.com analyzes your LinkedIn and Facebook network connections to provide search results not based on keyword but based on the number of connections you have. After all, why not just tell you what companies you’re better connected to? After linking your LinkedIn and Facebook accounts, simply use JackalopeJobs like a normal job board and see which jobs have more connections. And even more powerful, you can see what connections have more jobs! Just click on the name of one of your connections and see how many jobs are open at his or her current company. By leveraging your Facebook network, Cachinko.com tells you who in your network may be a good connection to the opportunity you are looking at. So before you apply, you can reach out and network first. Because Cachinko is fully integrated with Facebook, you can send messages to any of your Friends directly from its system. Cachinko lets you indicate which jobs you prefer by starring them, and it gradually begins to customize search results for you. After you’ve done a few searches and starred a few jobs, click on Jobs You’ll Love to get an automatically generated list of jobs delivered based on your past preferences.